Beauty products need to change with every season. Lucky for us there is no shortage of high quality, made in USA beauty and personal products to fit our changing needs. 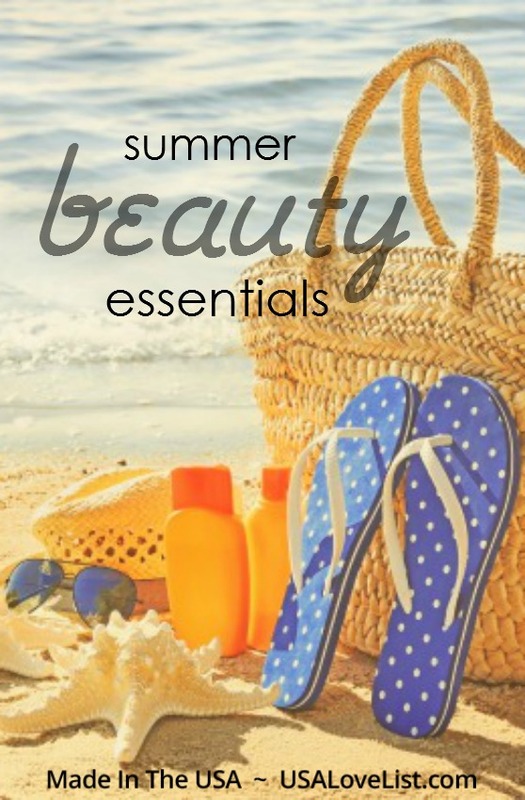 This list has your summer beauty essentials. Summer is all about less maintenance. Here is what to ditch, and how to switch, to the best American made beauty products for your summer routine. Try a natural brand that works. Crystal Body Deodorant comes in a convenient roller ball, it's a no mess application so I love just tossing it in my purse. It's free of toxins and works by using mineral salt. Their scents are light and pleasant, unscented is an option too. The formula is clear, smooth and comfortable. You can re apply in the warm summer months without any clumping or buildup. 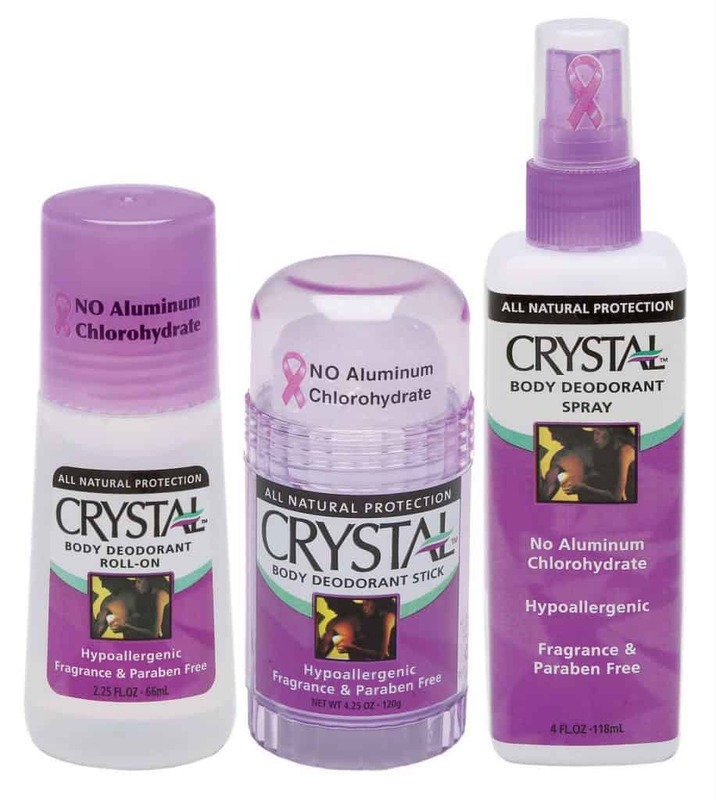 Add Crystal Body Deodorant to your summer routine and use coupon code USALOVE for 20% off your order. Opt for BB or CC cream. 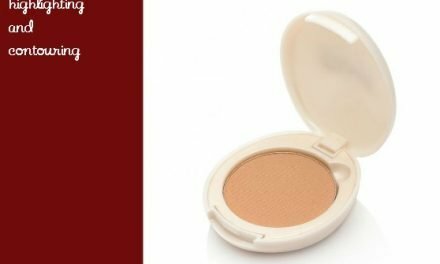 CC cream will blend in with your summer complexion without melting off. Most offer multiple benefits in one: light to medium coverage, sun protection, pigment correction and light hydration. 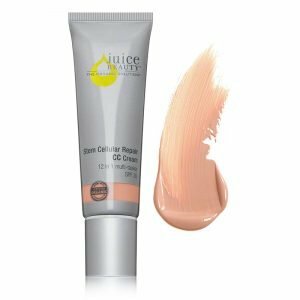 The Juice Beauty Stem Cellular CC Cream is one of my favorites. So easy to use! For better coverage you can use a brush or sponge but you can keep it simple with your finger tips for this tube. Check out easy wearing looks for summer in our Festival Makeup Tips. Instead of a cream cleanser, get a foaming or gel cleanser. 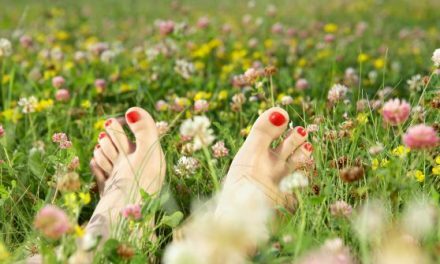 All the nourishment of a cream is great but in the summer sun we need to get the extra oils, dirt and sunscreen thoroughly washed away. 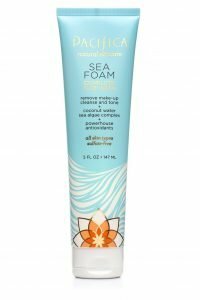 My selection is Pacifica Sea Foam Face Wash for all skin types. The coconut water base is refreshing. This wash is toxin free and full of antioxidants. Put away your Moisturizer Sans Sunscreen. Instead get – Moisturizer with SPF 30+. Anything less does not block the chemical response from the sun rays to the melanin, causing sun burns and sun damage at minimum. 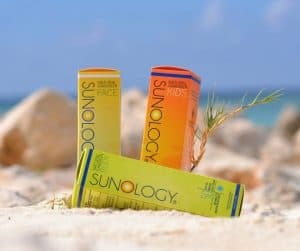 Sunology offers protection from UV rays while adding moisture to the the skin. It's delicate, non-toxic, reef friendly, cruelty free and water resistant. I love that is TSA friendly, keeping travel easy by packing this multi benefit tube in a simple carry on. 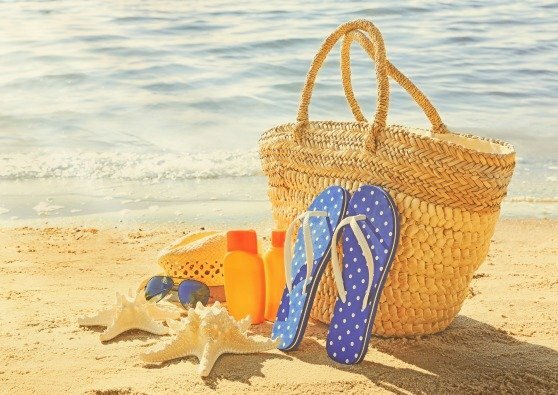 Don't miss our source list for Made in USA Sunscreen we love. Instead of shave gel, try an oil to add hydration to your legs and create a softer, smoother shave. 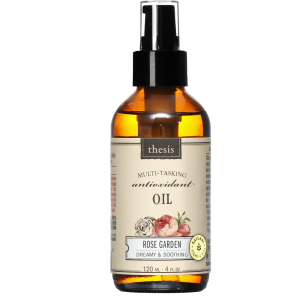 Thesis Beauty creates Body Oil Rose Garden, a multi tasking oil of all natural and antioxidant ingredients. 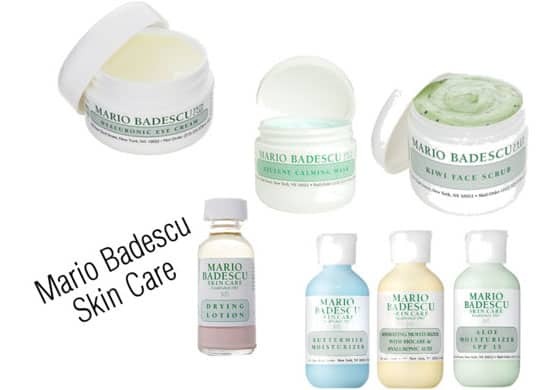 A little goes a long way for instantly soothed and soft skin. Using their rose oil will leave your legs looking silky and smooth. The scent is perfect for summer and a great compliment to any other favorite scent. Get all my tips on preventing ingrown hairs and fighting razor burn here. Use promo code USALOVE to save 15% on your Thesis order. Instead of a Heavy Hair Serum, get a lightweight product that can be spritzed on. You can still keep frizz down without the extra weight for silky summer hair. Try Paul Mitchell Awapuhi Wild Ginger Texturizing Sea Salt Spray. It balances the moisture, tames the frizz and helps create tousled looking waves. Get hair inspiration all summer long with American made products we love and the tips to achieve the style. 8 Hairstyles for Music Festivals, Products for Smoothing Frizzy Hair, and How to Get Beach Hair. Disclosure: This post is a sponsored post which USA Love List is proud to share with you because, sponsored or not, we only share stuff we love. Enjoy your warm summer days and longer nights. Let me know if you need something swapped out for summer. I will find you a great American made product for your summer needs. PreviousSupport Industrial Hemp Farming in the USA. Here’s Why. Angie Barnes is a Beauty and Style Editor showcasing American made products in her realistic advice, practical routines and reviews. 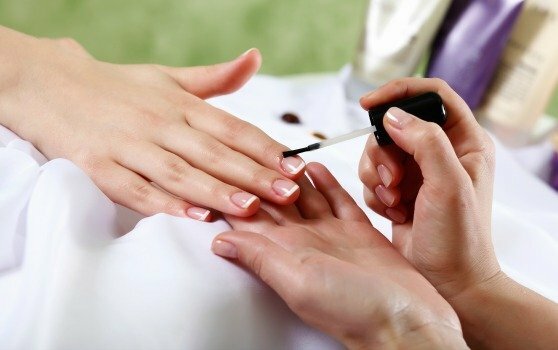 She also serves up professional makeup and skin care services as a Licensed Esthetician in a busy salon. Love sea salt sprays for summer. Haven’t tried this one though. Bet it smells delicious. I usally just use soap, but eos 24 hour Moisture Shave Cream sounds like a must now that spring is here and I am baring my legs! I have heard great things about Too Faced and I love the thought of a good BB Cream for Summer! And of course who doesn’t love Paul Mitchell? LOVE Paul Mitchell products. I haven’t tried this one yet, but I am SO ready for beachy waves!